A Business Reputation is an essential and significant part of a business, symbolizing who you are and what you stand for. Since the reputation of your business has the potential power to make or break you, it is crucial that you take control of this power and use it to your advantage. A solid business reputation shows that you are trustworthy, increasing the chances of people doing wanting to do business with you! Do you currently know what your Business Reputation is? The reputation of a business usually precedes the actual business, making it so that you must do your homework in order to make sure that your Business Reputation is exactly what you want it to be. Simply put, your reputation consists of what other people are saying about you and your business. Taking control of your Business Reputation means that you are taking on the responsibility of learning how to shape the perception of your consumers, with a goal of promoting. protecting, and defending the business. Add to this all the additional sources of comments that an online business has to deal with – customer rating & review sites, forums, and Social Media sites – all of which consumers can easily access, and you can begin to see that managing your business means being fully aware of what is currently being said about your online business. It must be taken into consideration that in today’s world people have instant access to the web wherever they go. This means that if you were to add new content to your site, eat dinner, and come back to add more content, you shouldn’t be surprised to find out that there may be a review already written about your recent, newly added content. One of the best ways to manage a Business Reputation is to do everything in your power to make sure that the business is easy to find. The best way to do this is by using Search Engine Optimization (SEO). When you adhere to the online process of using SEO to achieve higher rankings, you are giving your business the tools it needs to continually have it showing up in searches. The more your business shows up, the more authority your business gains. Any posts that are deemed to be predominantly harmful should be addressed immediately and directly to the reviewer. Adding positive reviews as well as helpful company information can aid in bumping the review down to make it less visible. Know that if you don’t act quickly, others may be waiting for the chance to jump on the Negative Business Reputation bandwagon. You can also help to offset any negative reviews by asking some of your satisfied customers to post their own, positive reviews. Your Business Reputation is essential due to the high competition in today’s online world. Be sure to keep close track of any harmful posts that may have been written, and then address them as soon as possible for best results. Very well said. I couldn’t agree with you more on how important good reputation is for a business. having a good reputation gives your customers and clients idea of what makes you unique and better and this will make you highly competitive on the online-based business world. For someone who manages and owns a internet based business, knowing all these information is very important in building a strong and good reputation that can help their business become very successful. Google alerts is vital and very useful when monitoring what’s being written about your business online. 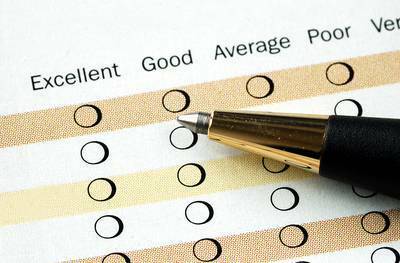 Remember that just 1 negative review is in theory enough to bring your online reputation to it’s knees, making you lose clients, credibility and money in the process. Most companies overlook the importance of their online brand until it’s too late.